Used 2018 Ford F-150 XLT SuperCrew 5.5-ft. Bed 4WD for Sale in Cortland NY 13045 Action Auto LLC. If you are looking for a beautiful truck with options, this one is a must see. It is Shadow Black in color with the XLT Sport Package, Trailer Tow Package, Trailer Back up System, Power Locks, Power Windows, Power Seats, Tilt/Telescopic Steering Column, Steering Wheel Mounted Controls, Navigation, Sync 3, Bluetooth, SiriusXM Radio, MP3/CD, Voice Activated Telephone, Back up Camera, Keyless Entry, Running Boards, Adjustable Pedals, 18 inch Wheels and much more. 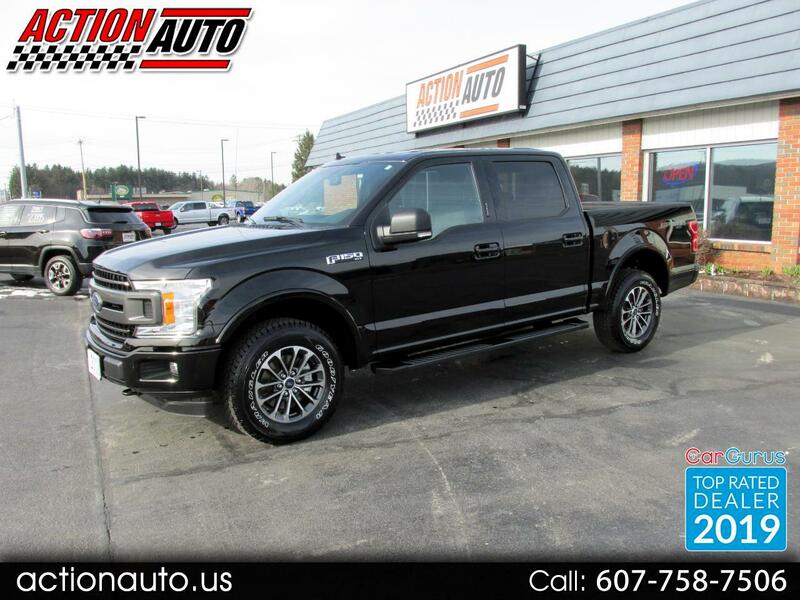 Stop in and take a look at this gorgeous truck or give us a call at 607-758-7506.